I’m shocked. The shock is followed by an overwhelming sense of satisfaction and pride. But all of these emotions are short lived as my trainer quickly moves on to the next set of routines and exercises. Fortunately, the impulse keeps me going until the end of the hour long class. It also pushes me to keep coming back to the class despite the strong, negative forces inside of me that look for ways to undermine my new obsession with punching, kicking and, yes, doing burpees. I’ve been kickboxing for several months and I’m starting to experience the benefits. I can now throw a punch. While I don’t plan to use this new skill outside of the kickboxing gym, I must admit, I’m pretty impressed with myself. Prior to enrolling in kickboxing, my primary form of exercise was running. I continue to run and am happy to report that kickboxing has made me a better runner, improving my strength and endurance. But, the greatest benefit of kickboxing has been the chance to discover the impulse that knows that I’m more than what I perceive myself to be – the impulse that pushes me beyond my self-imposed physical limits. While it reveals itself during strenuous sets of burpees and other exhausting exercises, I’m finding the impulse to be not just a physical motivator, but a spiritual experience. My spirituality encourages me to think of God as limitless. We try so hard to define God with words and labels, but no term we use can possibly capture the infinite essence of God. While I don’t believe in an all-powerful God, because such a God would bring an end to the suffering and pain of innocent people, I’ve always believed in a God of endless possibilities -the source of unwavering determination, the drive to find an answer, solution or cure when we appear to have hit a dead end, the reason to dig deep and keep believing. My spirituality teaches me that we’re each created in God’s image. Because of this, we too have tremendous capabilities. But, just as we do with God, we attempt to define ourselves and, thus, limit our abilities. When we hit a dead end, too many of us easily give up. We say “I can’t” and that’s it. We don’t give the impulse that’s not willing to give up time to kick in and take over. We all know some incredible people who have allowed the impulse to kick in and push them forward in tremendous ways. Most of these folks have gone through mind-boggling personal challenges. 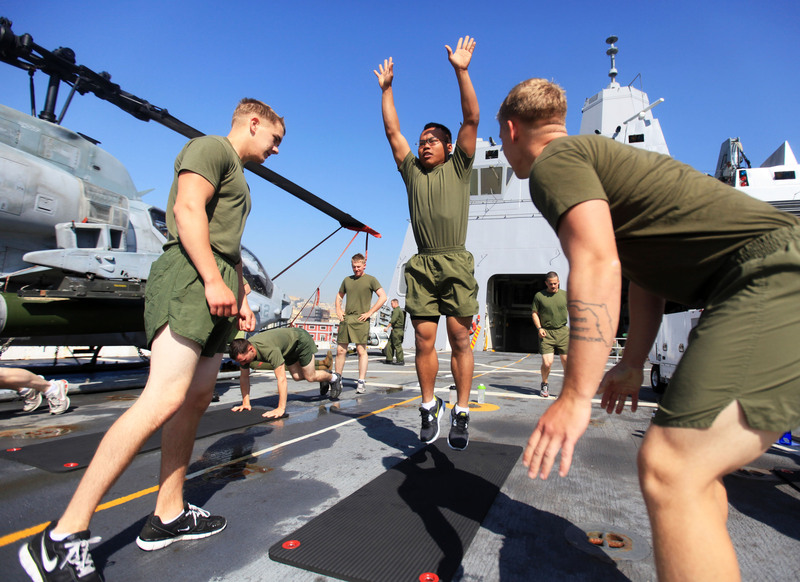 It’s absurd to compare my mundane struggle to complete a set of burpees to their challenges. But, my encounter with the impulse has given me some insight into the truly remarkable strength of those who find themselves facing overwhelming obstacles. The impulse has allowed them to tap into strength that’s beyond our grasp – beyond what we often perceive to be the limits of human potential. And because of this, they persevere. For me, the impulse is the essence of God, an innate, yet often overlooked ability to discover our untapped capabilities. I’m grateful that my kickboxing class has taught me that we don’t need a life-altering crisis to appreciate this ability and be divinely pushed beyond our limits. Certainly, prayer, the study of religious texts and meditation can be incredible ways to encounter holiness. But, I’ve come to appreciate that holiness can be experienced during a set burpees – or any opportunity during which we can encounter the impulse that makes us dig deeper and introduces us to new, remarkable aspects of ourselves.